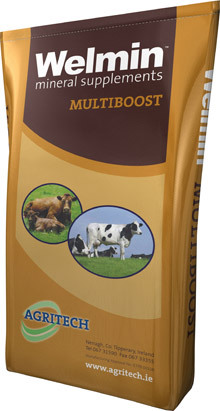 Agritech provide an affordable range of high specification products for all equine disciplines. With personal interest in horses we have a vested interest in providing quality products combined with the latest research. We manufacture Welmin Horse Mineral Supplements to give you a complete mineral and vitamin supplement in powder and molassed bucket form for all equestrian disciplines. A high specification block suitable for horses and ponies of all disciplines, racehorses, mares, foals and hunters. 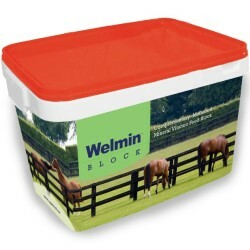 Welmin Horse Block is suitable for leaving outside in the field or alternatively in the stable. Contains a wide specification of minerals and vitamins to ensure health and vitality. Added yeast to aid digestion. Contains 6.5% pure salmon oil to supply key omega 3 oils for coat, shine and general well-being. A full complement of B vitamins included. Contains chelated copper and zinc. Inclusion of garlic works as nature’s natural deterrent to flies which can be a summer nuisance. To buy our Welmin Horse Mineral Supplements, contact your local distributor.